He will be forever young. In news just in, actor Paul Walker from the 'The Fast And The Furious' movie franchise has died. He was just age 40. UPDATED 24/12/13: In breaking movie news, 'Fast and Furious 7' will be released in April 2015. Says The Sydney Morning Herald. Paul Walker, best known for his role in the The Fast and the Furious movies, is dead at 40. His publicist Ame Van Iden said Walker died on Saturday afternoon. "It is with a truly heavy heart that we must confirm that Paul Walker passed away today in a tragic car accident while attending a charity event for his organization Reach Out Worldwide. He was a passenger in a friend's (Roger Rodas, who is survived by his wife Kristine and two children) car, in which both lost their lives. We appreciate your patience as we too are stunned and saddened beyond belief by this news. Thank you for keeping his family and friends in your prayers during this very difficult time. We will do our best to keep you apprised on where to send condolences." The driver of the car - a Porsche - lost control and hit a telegraph pole in Valencia, north of Los Angeles, his publicist has confirmed. "Brother I will miss you very much. I am absolutely speechless. Heaven has gained a new Angel. Rest in Peace." "All my strength, love & faith to the Walker family during this heartbreaking time. We find our strength.. in his light. Love you brother." - Dwayne 'The Rock' Johnson. The Sheriff’s Department said that speed was a factor in the crash. Paul was attending a charity event for his organisation Reach Out Worldwide. 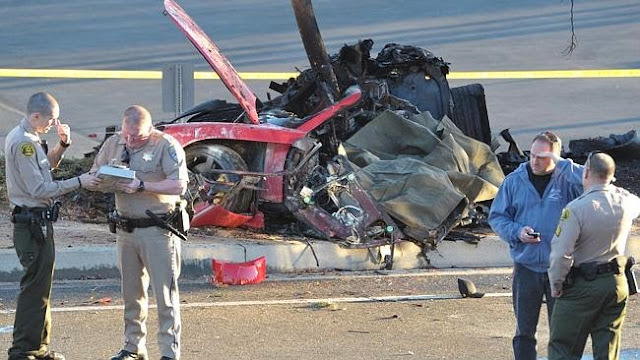 The 'Santa Clarita Valley Signal' reported that the Porsche crashed into a light pole and tree and burst into flames. Attendees rushed to put out the flames with fire extinguishers to no avail. The fundraiser, to benefit victims of Typhoon Yolanda (international name Haiyan), took place at a nearby racecar shop. Paul has a 15 year old daughter. Like Paul Walker, Roger Rodas was a successful business man and performance car enthusiast.As a Managing Director and Wealth Advisor working for Merryl Lynch/Bank of America, Roger Rodas was consistently recognized by Barrons as one of the top 1000 advisers in 2010,2011 and 2012. With a degree in Finance and numerous credentials and certifications from the Wharton School of Business, Roger Rodas had the aptitude to survive and thrive as a successful wealth adviser for more than 20 years. Roger Rodas also co-founded and was the brains and financial powerhouse behind Paul Walkers race team aptly named, Always Evolving. 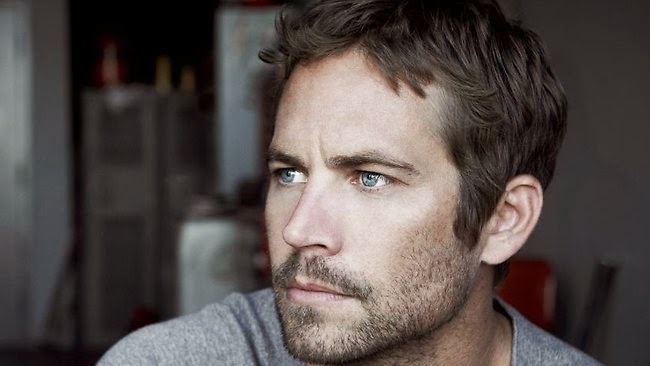 And most famously, Rodas connected with Paul Walker and formedReach Out World Wide which sought to bring skilled volunteers to disaster stricken areas.Most notably the need was found in Haiti, as Paul Walker observed the disconnect between those suffering and those who wanted to help but had no relevant skills to give. 1990s music - VIDEOS. The best.